Last year, Huawei wowed us with the MateBook X Pro, its flagship laptop that my colleague Dan Seifert called “the best laptop” that you could buy, competing with flagship computers like Apple’s MacBook Pro and Dell’s XPS 13. 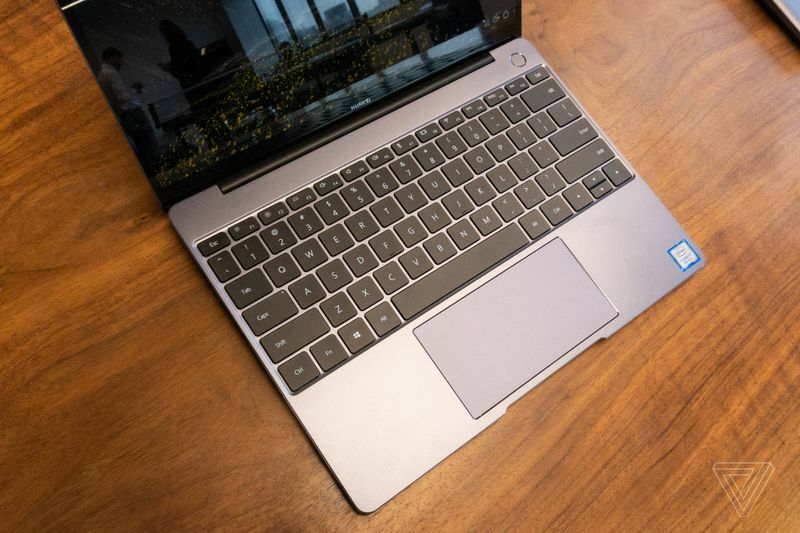 And now at CES 2019, with its newly announced MateBook 13, Huawei is setting its sights on an even more popular laptop: Apple’s MacBook Air. The new MateBook 13 is meant to slot into Huawei’s existing lineup between cheaper MateBook D and the premium MateBook X Pro — a middle-of-the-road option for those who still want the high-end design and features without paying the higher price. 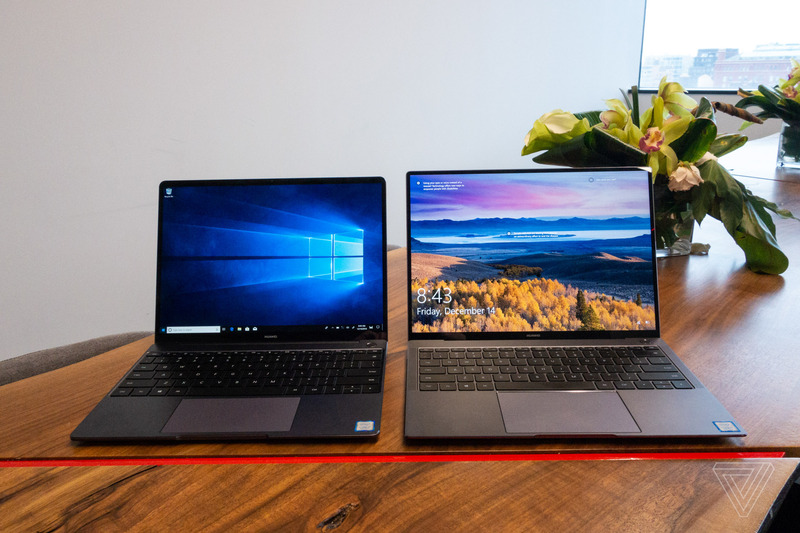 Like the other MateBook laptops, the MateBook 13 offers a 3:2 aspect ratio display, but at a 13-inch size with a 2160 x 1440 resolution, instead of the larger 13.9-inch 3000 x 2000 display on the MateBook X Pro. It’s also a bit thicker than the MateBook X Pro. Despite the larger size, at 14.9mm thick, it’s still thinner than Apple’s new MacBook Air. Huawei is selling two models of the MateBook 13: a base model with an 8th Gen Intel Core i5-8265U Whiskey Lake processor, 256GB of storage, and integrated graphics; and a more powerful i7-8565U model that will have 512GB of storage and a discrete Nvidia MX150 GPU. 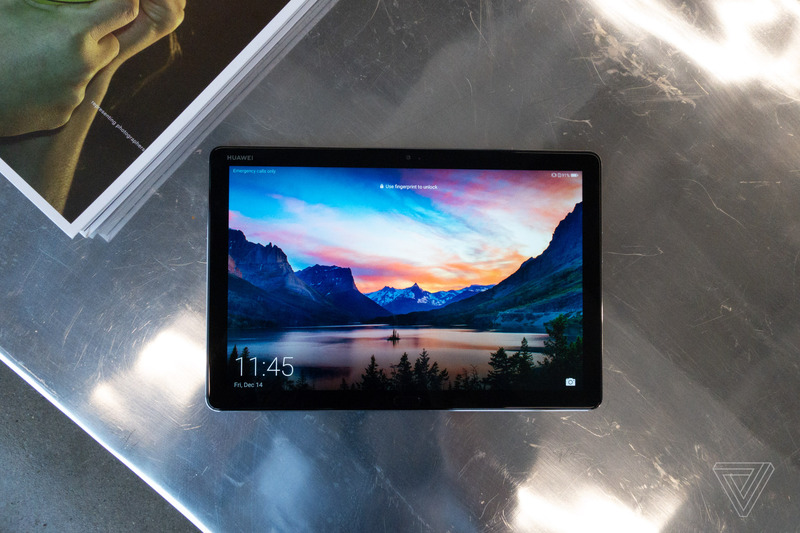 Both models only offer 8GB of RAM, along with two USB-C ports (the left side port supports data transfer and charging, while the right side offers data and DisplayPort support). Like the MateBook X and MateBook X Pro, the MateBook 13 will feature the same fingerprint reader integrated power button. And in a welcome change from the flagship laptop, the MateBook 13 forgoes the MateBook X Pro’s creative keyboard webcam for one placed in a slightly thicker top bezel that doesn’t stare up your nose. BUT CAN THE MATEBOOK 13 COMPETE ON PRICE? Unlike the MateBook X Pro, with premium features and a seemingly impossibly low price that made it a nearly unbeatable combination, the MateBook 13 will face a bit more competition on price, with the Core i5 model selling for $999 and the Core i7 version going for $1,299. That means that Huawei will not only have to contend with the similarly priced Dell XPS 13, 13-inch MacBook Pro, Surface Laptop, and the updated MacBook Air, but also the more premium MateBook X Pro, which has a $1,199.99 base price that is right between the two MateBook 13 models. Still, if the MateBook 13 can deliver on battery life and performance similar to the MateBook X Pro, Huawei could have another hit on its hands. We’ll find out soon enough: the MateBook 13 is set to go on sale in the US on January 29th at Amazon, Newegg, and other retailers. In addition to the MateBook 13, Huawei also announced a new Android tablet, the MediaPad M5 Lite. The new tablet offers a 10.1-inch 1920 x 1200 display, and is powered by Huawei’s Kirin 659 processor, with 3GB of RAM and 32GB of storage. Huawei is positioning the MediaPad M5 Lite as designed for families in particular, with a Kid’s Corner feature specifically for younger users, and a variety of sensors that can detect when kids are holding the tablet too close to their face or slouching over a screen and notify them to stop. It’ll be out at the end of January for at $299.